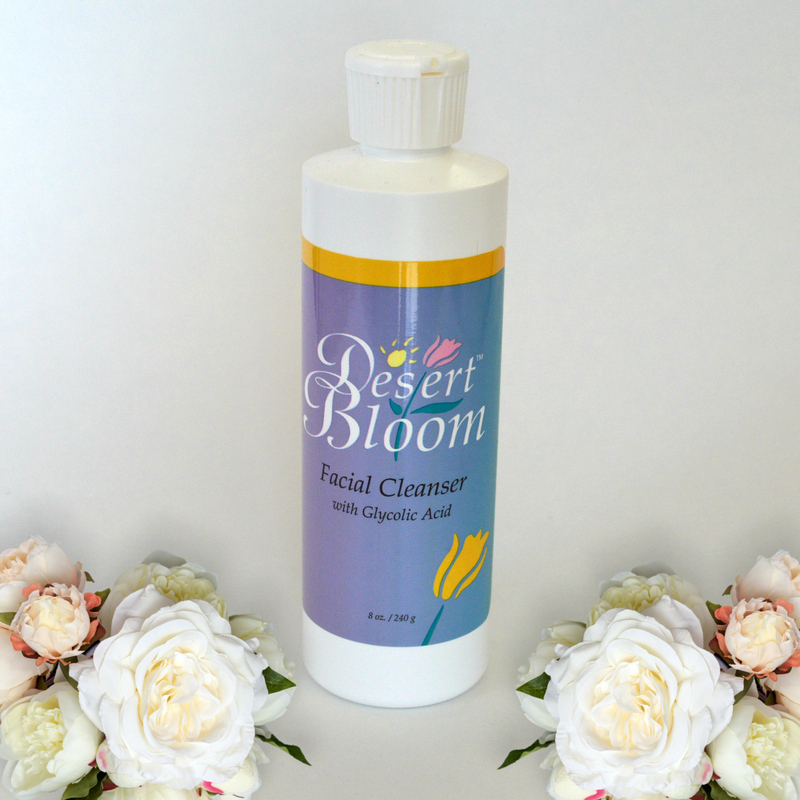 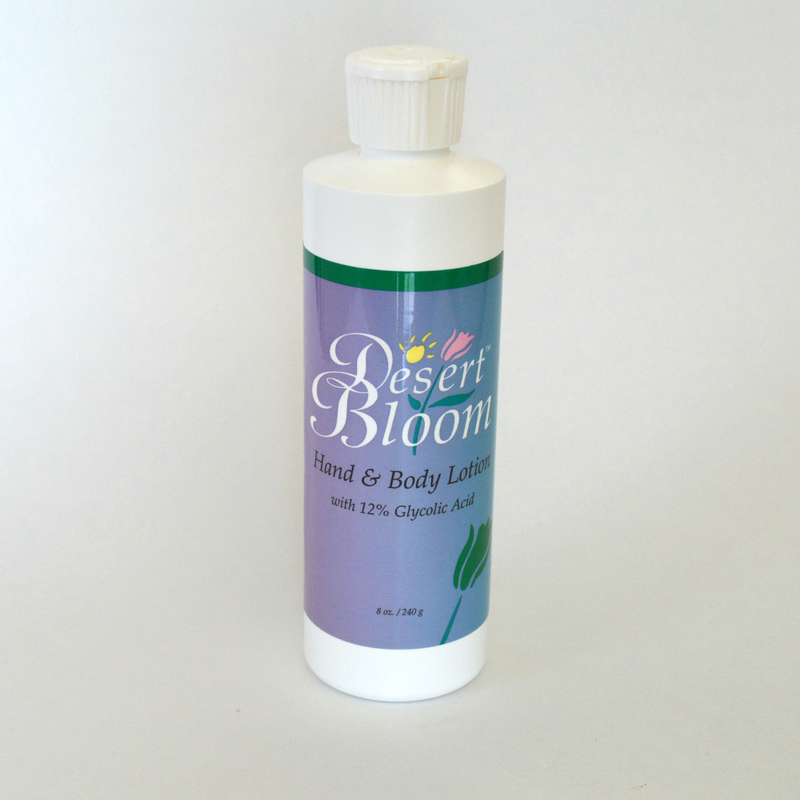 Desert Bloom Hand & Body Lotion is a luxurious formulation containing 12% glycolic acid that offers special benefits for the dry and cracked skin of the feet, legs, and elbows, as well as the back and shoulders–wherever dry patches of skin or callouses occur. 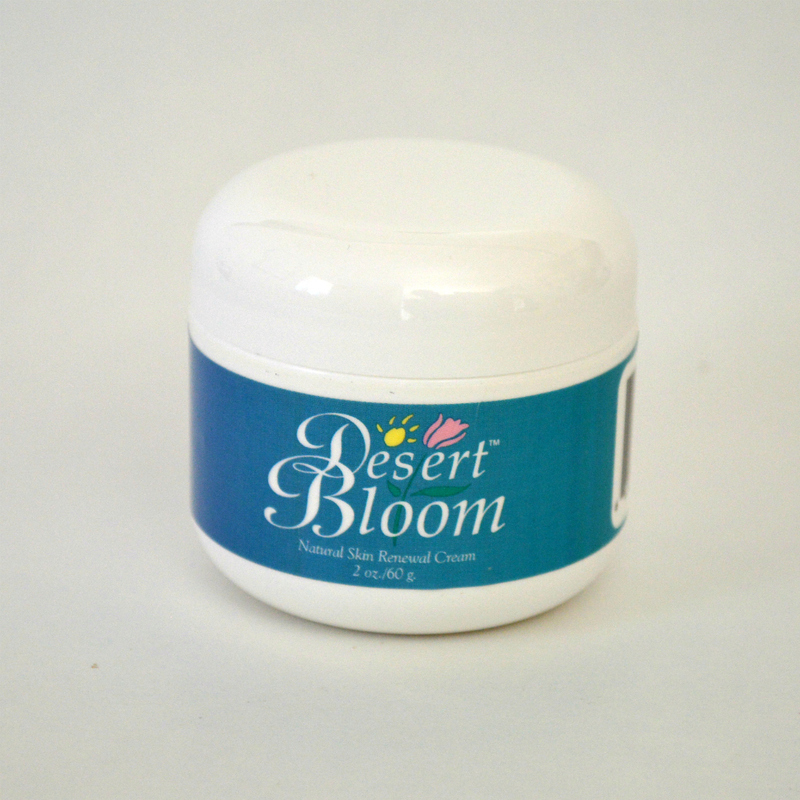 This product is very effective in softening and removing callouses that build up on the feet, especially the heels. 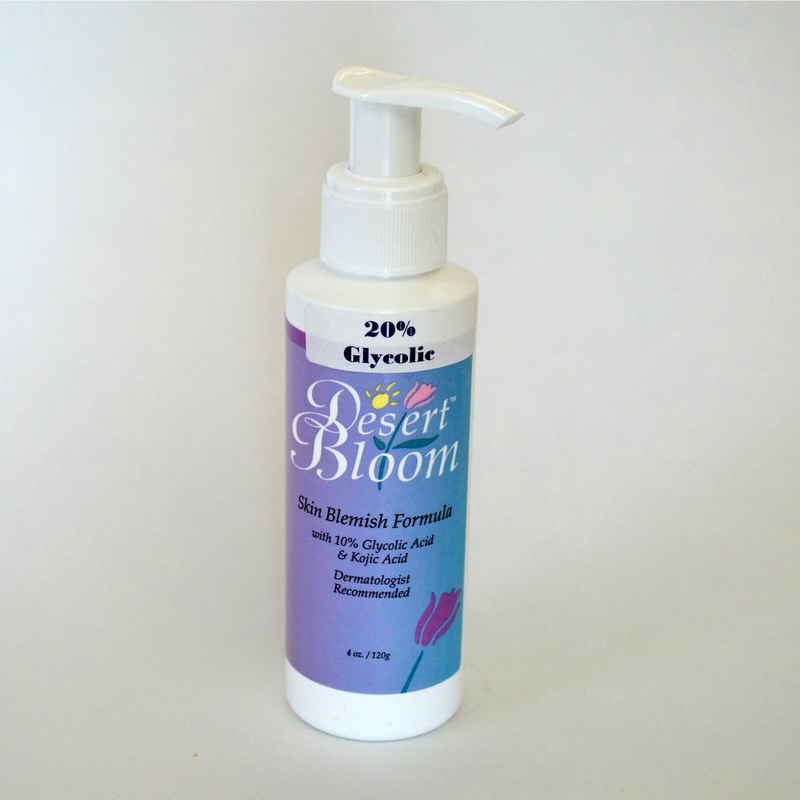 Diabetics will find this lotion especially beneficial for their skin care challenges.